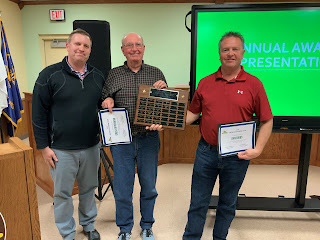 The Annual Town Meeting was held on Tuesday, April 16, 2019 at the Greenville Town Hall. The Annual Town Meeting is unique to town governments in Wisconsin; as it is required to be conducted per State Statute. The event also featured the presentation of the Citizen of the Year Award. The award was presented to Greg Kippenhan and Dan Dibbs. Both Greg and Dan have served the Town as citizen members to a variety of committees. Greg currently serves on the Planning Commission and Facility Committee. Dan currently serves on the Fire Commission, Facility Committee and as a chief election inspector. Congratulations to both Greg and Dan! The Town Meeting also granted authority to the Town Board to issue general obligation refunding bonds to refinance existing debt. Lastly, the Town Meeting also adopted a plan under s. 5.60 (6) to elect town board supervisors to numbered seats. 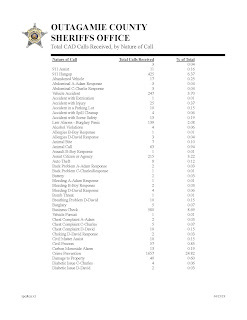 Deputies handled 300 vehicle accidents, 215 citizen assists, 15 stolen vehicles, 80 disturbances, 261 reckless driving complaints, 164 suspicious complaints and 605 traffic stops. Deputies also conducted 2691 crime prevention and traffic safety activities. 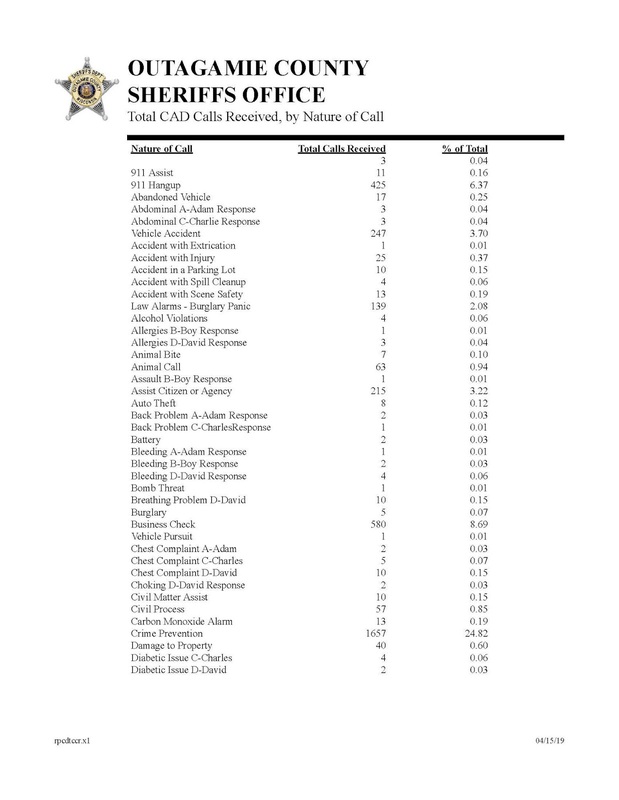 These are times deputies check out on self-initiated activities to conduct traffic enforcement or check businesses and other areas. On December 16th, 2018 deputies responded to a domestic disturbance in which a man fired a weapon at his wife and child. The Emergency Response Team was deployed and it was later found the man took his own life. In recent months there have been two heroin related overdoses in Greenville. Investigators with the Sheriff’s Office currently assigned to the Lake Winnebago MEG Unit and the joint Appleton Police Department / Outagamie County Sheriff’s Office Special Investigations Unit (formerly CRU) are actively investigating these incidents. The Town of Greenville contracts with the Outagamie County Sheriff's Department for enhanced law enforcement services for the Town. Deputy Garret Richards is devoted to serving Greenville by providing directed law enforcement to the community. If you would like to speak directly to Deputy Richards (non-emergency) please call the Outagamie County Sheriff's Department dispatch non-emergency number at (920) 832-5000 and ask to speak with the Greenville Deputy. FOR ALL EMERGENCIES DIAL 911. General inquiries can also be sent via email to garret.richards@outagamie.org. To submit an anonymous and confidential tip about any gang or narcotics activity call (920) 832-5629. Outagamie County Sheriff's deputies are devoted to serving the Town of Greenville and welcome citizen input on law enforcement issues and concerns in the Town. Julius Drive (Spring Road to School Road) is scheduled to be closed for reconstruction on Monday, April 29 through the end of August, weather permitting. This closure will be to all thru traffic, residents that live in the project limits or in the adjacent subdivisions will be able to access their property during the closure. At a minimum the contractor is to provide access to the project from either the north side (Spring Road) or the south side (School Road). Certain properties will have limited access during the replacement of private culverts or grading or paving of driveways. Access will always be maintained for emergency services, refuse collection and mail delivery. The reconstruction will include the full reconstruction of road base, asphalt bituminous pavement, the widening of travel lanes, a five-foot paved bicycle lane and improved cross slopes for roadside ditches. A Pre-Construction Public Informational Meeting will be held at the Greenville Fire Station (W6895 Parkview Drive) from 5pm to 6pm on Thursday, April 25. Town staff, engineer and contractor will be in attendance at this meeting to discuss any concerns that you may have about access or the details of the project. For more information, please contact the Department of Public Works at (920) 757-7276. Brush will be picked up from Town of Greenville Residential homes the 2nd Monday of every month. 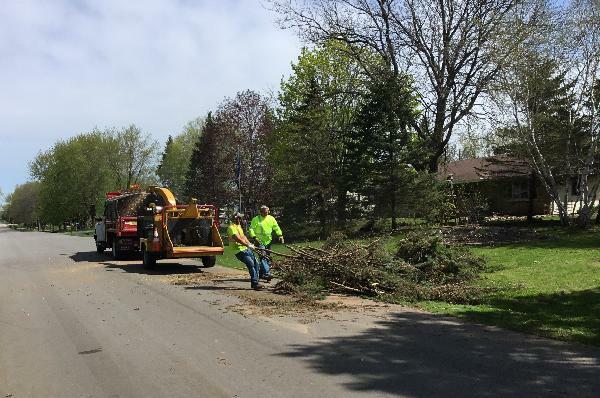 To be added to the Brush Pick-Up list, residents will need to call the Public Works Department no later than 12:00PM the Friday before pick-up. Public Works can be contacted at (920) 757-7276. Residents will need to call back each month if they would like to be added to that months brush pickup list. If there are an exceedingly high number of people on the list, your brush may not be picked up on Monday, but early in the week. During winter months, if there is a snow or other emergency, that holds precedence and the brush pick-up may be pushed back.